60 ft. 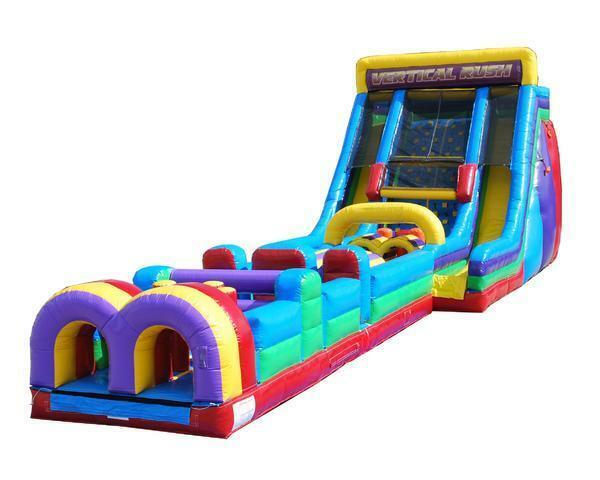 Obstacle course 20 ft. tall Vertical rush with 30 ft.
About to bounce inflatables offer this 20ft vertical ruch double slide. it is attached to a 30ft. 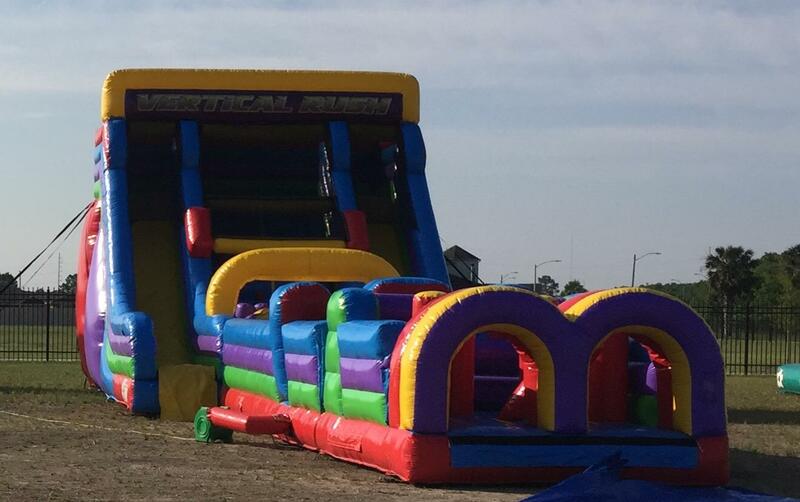 obstacle course. It's length is at about 57 feet long.